Sensational Kids’ speech therapists work with children of all ages and their families to develop children’s communication and swallowing skills and supporting them to achieve their potential. Our skilled speech therapists use a range of evidence-based approaches, including Floortime and SOS Feeding to promote speech, language, swallowing and social skills for children. Our speech team value the importance of making sessions fun and enjoyable for children and their families and enjoy seeing children grow and develop their unique potential. 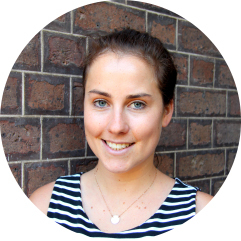 Kelly graduated from City University in 2008 and worked as a Speech and Language Therapist in London before moving to Melbourne in 2014. 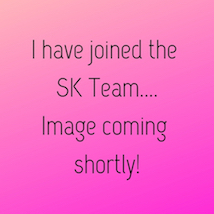 Kelly has experience of working in a wide variety of settings including kindergartens, childrens centers, community clinics, mainstream schools, a special needs school and client’s homes. Kelly has a passion for working with young children with speech and language delays, social skills difficulties, complex needs and feeding difficulties.Kelly is trained in DIR-Floortime, Hanen: It Takes Two to Talk, Picture Exchange Communication System (PECS), SOS Feeding programme, Lidcombe Therapy for Stuttering and THRASS. She is able to provide dysphagia assessments and recommendations for infants and children with suspected chewing and swallowing difficulties. Kelly believes in a playful approach to therapy and likes to encourage families to participate in her sessions to enable them to feel confident about how to help their child at home. Joellee graduated from Curtin University (W.A) in 2014 with a Bachelor of Science (Speech Pathology). Joellee has a special interest in supporting children with their early language, social skills, and the challenge of ASD. She not only has a university qualification but she also is a qualified Pilates and Barre instructor who has a passion for health and fitness. Philippa graduated from The University of Manchester (UK) with a first class honors in clinical practice. Since then she has worked across a range of settings including early year clinics, mainstream primary and secondary schools, and specialist schools. She has a special interest in working with young children who are late talkers and children who have autism. She is passionate about working together with parents to achieve the best outcomes for their children. Philippa works at our Ormond clinic. Sinead graduated from Trinity College Dublin (Ireland) with First Class Honors. She has worked across multiple public health and private practice paediatric services both in Ireland and in Melbourne. Sinead has a experience working with young children & their families with a range of speech, language and communication needs, and holds a particular interest in mental health. Sinead adopts a play based approach to therapy that allows families to enjoy therapy and see how they can use ideas at home. Sinead works at the Ormond clinic on Fridays. Nicole has a Masters in Speech Pathology from Melbourne University, and a PhD in Developmental Psychological Science from the University of Queensland. Nicole has particular skills in literacy, early language development, stuttering, and the use of augmentative and alternative communication. She has undertaken training in Sounds-Write, More Than Words (Hanen), Lidcombe, and PECS and is particularly passionate about teaching literacy using a structured synthetic phonics approach. Nicole is based at both our Moonee Ponds and Ormond clinics. Chloe graduated from La Trobe University with a double degree; Bachelor of Health Science and Masters of Speech Pathology. Chloe has a passion for working with children in all areas, with a particular special interest in fluency, disability and language delay. Chloe has completed the following training; Lidcombe Program, Camperdown Program, Adolescent stuttering and DIR-Floortime. Chloe works at our Ormond site.